While Rangoon hits theaters next week, the film’s lead actress Kangana Ranaut is on a promotion spree along with co-stars Shahid Kapoor and Saif Ali Khan. Expectedly, several of the statements she’s made while on her publicity rounds made headlines — be it on Hrithik Roshan, or her comments regarding nepotism while on Koffee With Karan. Firstpost recently had a sit-down with Kangana for our latest episode of Gossip Guy, and boy did she have a lot to talk about with host Renil Abraham. She was more serious on the subject of her fall-out with Hrithik Roshan, which dominated headlines in 2016. Kangana told us that not refraining from talking about it was a conscious decision she made. “If I kept it as a secret, it would have become bigger in everyone’s (minds),” she explained. “All my interviews in the past seven days have been about that. I have said whatever, in my capacity, I understand about the situation. “The only thing you care about that point is your career. In a way, it directly affects your career,” Kangana said. “This is something very personal, it is out in the open and it is completely damaging, it is ruining my hard work of 10 years. I am a great actress and I remain one… the media has been amazingly supportive, so have the people around,” she added. 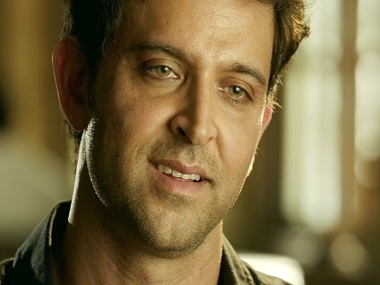 The stakes were high for Hrithik Roshan starrer Kaabil, when it opened in theatres across the world on Wednesday, 25 January. Not only is this a home production for the Roshans, it was also a chance for both director Sanjay Gupta (whose last film Jazbaa was not a success) and Hrithik (who had a box office debacle in Mohenjo Daro on his hands in 2016) to redeem themselves. To complicate matters further, there was the high-profile clash with Shah Rukh Khan’s mass entertainer Raees that was bound to eat into the business Kaabil expected to do. On opening day, Raees raced ahead with a Rs 21 crore opening — as expected for the SRK starrer. On the other hand, Kaabil scored a Rs 10.43 crore box office collection on Day 1. As with Raees, the Republic Day public holiday and subsequent weekend will prove to be crucial for Kaabil‘s business as well. March 2016 marked the beginning of one of the biggest controversies in Bollywood for the year. 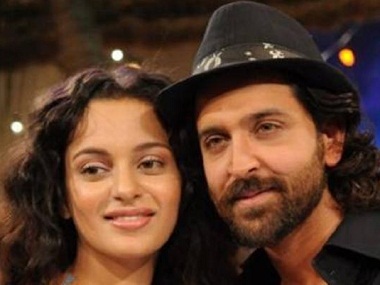 Kangana Ranaut and Hrithik Roshan had slapped each other with legal notices through their respective attorneys, Rizwan Siddiquee and Deepesh Mehta. After Kangana made a comment about a ‘silly ex’ of hers, Hrithik Firstpost slapped a defamation notice against her that seemed to indicate that (he believed) the comment was directed at him. The fight got murky, and allegations were thrown from both the parties. He even tweeted that he would rather have an affair with the Pope. Ouch. An officer connected with the Cyber Crime Cell has been quoted by various news outlets as saying the emails came from a US server, and in the absence of data from there, no user could be identified, which for Kangana’s team was a win-win situation. Mumbai: Actress Madhuri Dixit-Nene, known for her graceful dance moves, says primarily she is a stage dancer but has a bit of street dancing in her as well. “I have stage (dancing) in me, because I learned Kathak which is a stage thing, but there is a bit of street (dancing) in me also, because when you do Bollywood dancing it is an amalgamation of all styles,” Madhuri said, when asked which form of dance she preferred — stage dancing or street dancing. She was present at the unveiling of the Indian version of popular show So You Think You Can Dance, where she is one of the judges along with choreographers Terence Lewis and Bosco Martis of Bosco-Caeser. Madhuri is known for her dancing skills and for being capable of carrying off a mujra like Maar Dala as well as dance numbers like Ek Do Teen at the same time. So You Think You Can Dance will see a battle between the two forms of dance — stage dancing, usually narrating a story and performed by trained artistes, and street dancing being slightly more non-professional and which happens on the streets and nightclubs. Madhuri had previously judged four seasons on dance show Jhalak Dikhhla Jaa. On the difference between the shows, she said: “In Jhalak Dikhhla Jaa, it was all celebrities and had a different journey since many of them had not learned dancing, and had a journey from a non-dancer to a dancer. “But here, it’s the common man. It gave me a good feeling that I could connect with the common man, and interact with them. They are passionate dancers who have made numerous sacrifices, where families haven’t supported them, they’re all alone, but have tremendous passion for dance and don’t want to leave dance.